904-574-5100 is your EMERGENCY PLUMBING HOTLINE! Call us anytime, 24/7/365. Our highly qualified plumbers are on call for all of your plumbing emergency needs! All Hours Emergency Plumber offers a full range of top quality plumbing services to meet all of your Residential and Commercial plumbing needs. Our uniformed plumbers come prepared by having a fully stocked plumbing truck complete with parts and equipment. 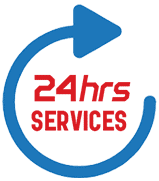 This means that our technicians are prepared to handle any plumbing problem or emergency, 24 hours a day, 7 days a week, 365 days a year. All of our work is guaranteed and done right the first time by our qualified service professionals.